Pilates is an integrated system of exercises that focuses on developing core strength and stability and improving posture and spinal alignment. Personal training is the best way to reach your fitness goals and stay on track. I am committed to working with my clients to tailor individual programs to best suit your needs. Injuries are taken into account when making an individual program, so no need to not train because of restrictions. 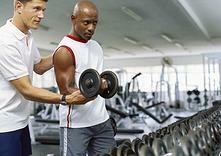 Personal training sessions are also a great way to integrate different aspects of fitness into one dynamic session. Want to reduce body fat, increase lean muscle mass and burn calories more efficiently? Then strength training is for you. Classes involve using hand weights, resistance bands and balls to improve strength and overall health and fitness for all ages. Use it or lose it as muscle mass naturally diminishes with age. Control your weight. 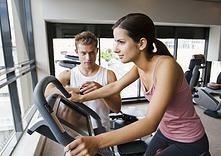 As you gain muscle, your body begins to burn calories more efficiently. The more toned your muscles, the easier it is to control your weight. Boost your stamina. As you get stronger, you won't fatigue as easily. Building muscle also contributes to better balance, which can help you maintain independence as you age. Manage chronic conditions. Strength training can reduce the signs and symptoms of many chronic conditions, including back pain, arthritis, obesity, heart disease and diabetes. Sharpen your focus. 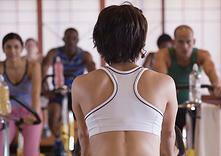 Some research suggests that regular strength training helps improve attention for older adults. Are you looking for an alternative health source in a world where toxins and pollutions are adding up daily in your system? Do you experience aches and pains from your daily life or as the result of an illness or injury? Is your skin rough, dry, broken out, splotchy, or does it take a long time to heal from cuts or bruises? Are you recovering from cancer? Do you struggle with your weight and energy levels? If so, then a sauna may provide the answer you need to your health concerns. Your body is an amazing system that has the capacity to heal itself. You have experienced the bodily crash of a flu or infection when your body counteracts the illness through producing a fever. Your body literally burns the infection out of your body. Unfortunately, as painful and annoying as having the flu is, it's telling you that you've allowed your body to get away from its healthy balanced state. Too often, you place demands on your body too fast and too furiously for your body to compensate and rejuvenate. This is where owning or consistently using a sauna can help you maintain that balance. The heat penetrates your body tissues to a depth of about an inch and a half or 3.81cm inducing a natural fever situation without an illness. This induced fever causes your body to sweat and remove toxins that have built up in your body due to environmental, medicinal, or stress related situations. During this process, your heart rate speeds to rates similar to those of gentle exercise, thus helping your body to increase circulation and function more efficiently. Some of the benefits that result with this removal of toxins from our bodies include: softer and clearer skin tone; reduced muscle and joint tenderness and soreness; faster healing of cuts, bruises, and acne; increased weight loss with a proper nutritional programme; the ability to have a deeper, more relaxing sleep; and, reduced stress. Studies show that consistent use can help lower blood pressure, is safe for patients with heart conditions, arthritis and diabetes. Heat causes body cells to release harmful substances through perspiration. Toxic substances build up in the soft tissues of the body over time. Without a proper flushing of these toxins through appropriate eating styles and exercise, your body may begin to feel sluggish or you may experience more pain than you may expect on a daily basis. Usually, this feeling of un-wellness does not happen overnight, but creeps up on you like fog drifting in from the ocean on a cold night. You may see suggestions to remove toxins from your diet with harsh internal chemicals or even harsh natural supplements. All come with stern warnings and are usually quite intrusive, often leaving your body sometimes sicker than you were before you began. There is a safe natural way to detoxify your body - and that is through heat. 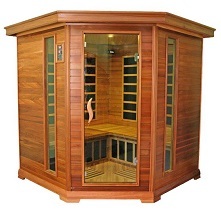 Enjoy an infrared sauna today!! Classes involve a circuit including the use of Bosu, Weights, Rip60, core exercises, cardio drills and boxing. Each week the class is different so your body is always being challenged. Fitness boxing allows you to develop superior upper body strength, quickness and agility, cardiovascular fitness, and improved posture all at the same time. Boxing is also a great form of stress relief. You’ll get an intense workout and improve your core strength and you will love every single minute of it! Our circuit / boxing classes are great for all ages and fitness levels. Massage is a general term for pressing, rubbing and manipulating your skin, muscles, tendons and ligaments. Massage may range from light stroking to deep pressure. Massage is an effective treatment for reducing stress, pain and muscle tension, some studies have found massage may also be helpful for: Anxiety and digestive disorders.